Rita, professional ventriloquist foam puppet. 34" (86cm) tall. Weight is about 1,9 pounds (0,85 kg). 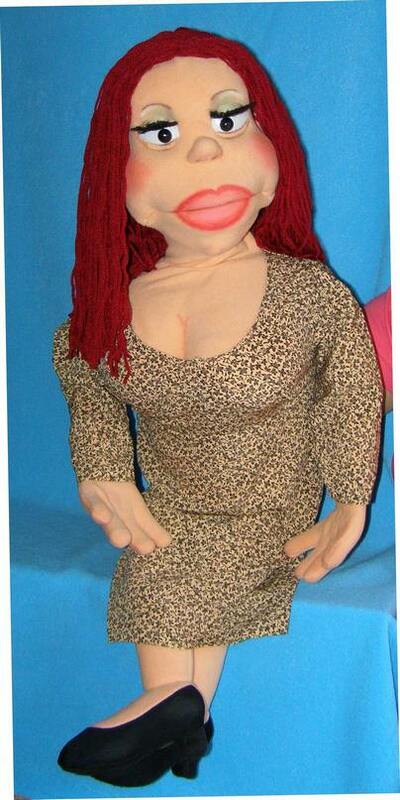 This puppet is made out of foam and covered with fabric. The puppet provided with removable dress.